After many years of wanting to feature a painting on my Christmas cards, followed by a few more years of planning to do so but then running out of time to work out all of the logistics, I finally made it happen! I’m proud to share this painting which is featured on our cards this year. I have many more paintings to share with you all, but because they will all be given as Christmas gifts I have to wait until after the big day to post them! Be sure to check back next week. 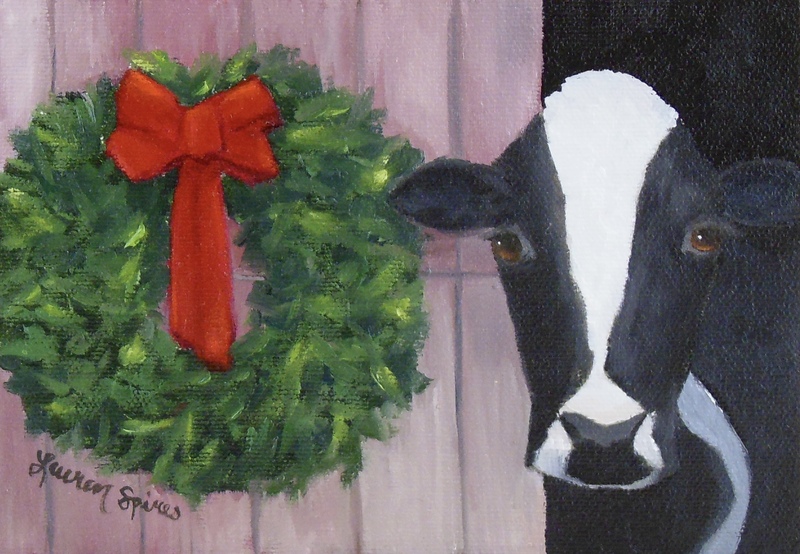 Until then…Merry (or moo-y) Christmas!